Want to Read the Bible in 2018? One of the most worthwhile endeavors you'll embark upon in 2018 will be your personal intake of God's Word. There is no substitute for it and the Bible tells us that all we need for all of life is found in the divinely inspired words of God (Joshua 1:8-9, 2 Timothy 3:16-17). If you've never read the entire Bible I'd highly encourage you to try it in 2018! There are a plethora of good plans out there. There's also a lot of plans that can be printed off and even have a phone app to help make reading easier. I'm personally doing the Read Scripture reading plan. 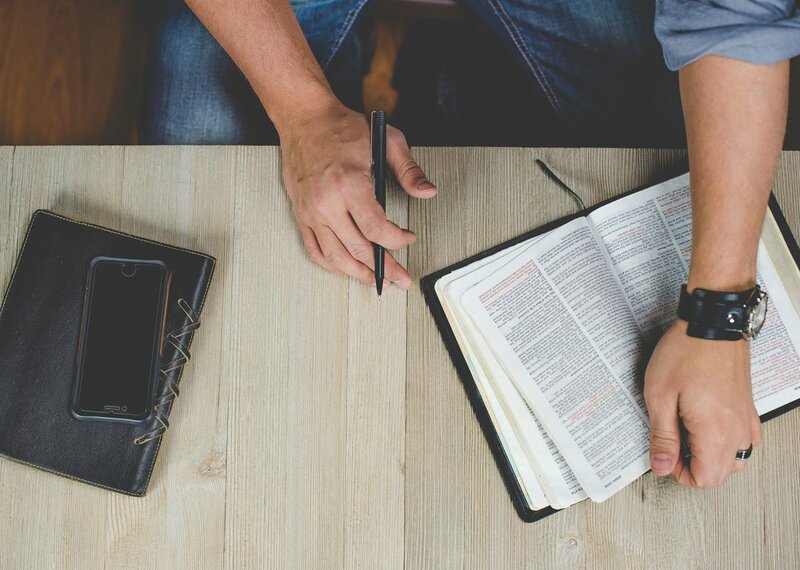 If you'd like some help, here is a link to multiple Bible reading plans with multiple purposes (metanarrative, chronological, etc.). Also, keep in mind that the goal of Bible reading isn't to finish the plan; the goal is to know God. Therefore, emphasize quality reading time over the quantity of your reading. You've heard the saying "if you fail to plan you plan to fail". It's true. Pick a time and a place and try to get into a regular rhythm that works for you. Many people overlook or downplay the importance of studying the Word in communally with others. Not only does this provide for more wisdom, accountability, and encouragement, but it also is a way to see God moving in your community and be encouraged as God grows you individually and collectively. I'm personally leading a group at our church through a Bible reading plan in 2018 and am very excited about seeing what God speaks to us together along the way! There's nothing more encouraging than the Church being the Church and seeing that play out in real life together with others on the journey with you. Whether you're a person who journals or not, I'd highly recommend making sure that whatever plan you chose is infused with daily application and reflection. I hope you found this helpful and I'd love to hear what your 2018 Bible reading plan looks like and I hope that you find greater depths of knowledge, intimacy, and fellowship with the Lord.